Logins this hour: 4658 ? 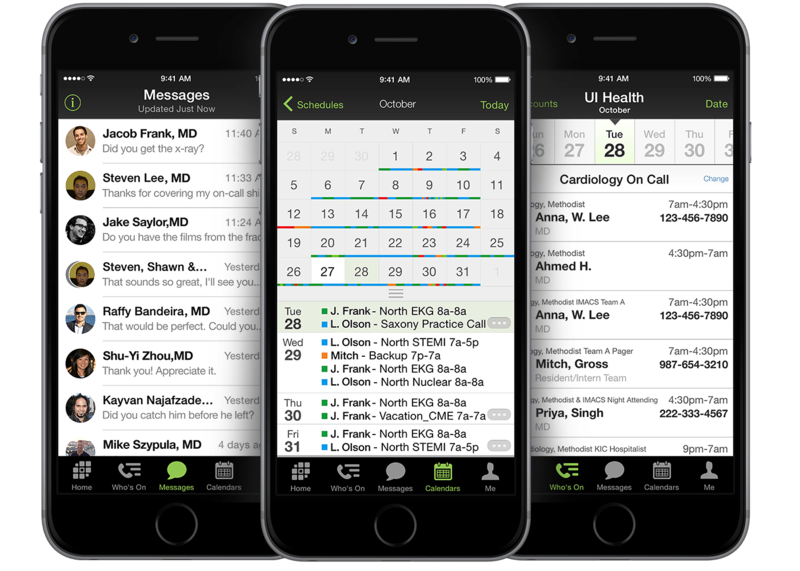 Subsets allow you to break a large monthly schedule into smaller subset views, both in the OnCall app and at Amion.com. In OnCall, click the Schedule Content icon, found in the icon toolbar. In the Schedule Content box, there are 8 icons along the top made up of 4 blue and 4 black dots. These icons let you configure 32 different "Setup," views or pages. Each setup that you create displays a subset of the full schedule. NOTE: Staff logging into the monthly schedule at Amion will first see subset 1 displayed in the schedule grid. Because of this, subset 1 is often left as the full schedule. Subsets usually begin with setup 2, the two blue dot icon. Click on the two blue dot icon. In the list of services, click on each service name you don't want included on the subset page. Only services listed with a blue dot will appear in the selected view. Title the subset by clicking on the schedule's header above your schedule. It currently begins with, "Call Schedule" followed by the monthly dates. Replace "Call" with the name of your subset page. Leave the formula displayed after the name so the schedule will display the dates of your monthly schedule. Subsets 1-8 start off with all services visible. Subsequent subsets, 9-32 start off empty. OnCall allows you to store 32 different subset pages for your calendar and table views. Subsets you configure for the calendar display will not automatically carry over to table display and vice versa. To have the subsets be the same regardless of the display, click the = icon in the Schedule Content toolbar to make the calendar and table views the same. You may password-protect your subset pages so people outside your group may only access a single subset page. How to set up a subset page password. NOTE: If you add a new service to your schedule and don't want it to appear in the views you have already set up, you'll need to edit all active subset pages, removing the new service name from the first 8 subsets. Conversely, if you want a new service to appear in pages 9-32, you'll need to add it in. Your Amion schedule will only display a subset page if the page has been customized. If a page includes all shifts or no shifts at all, it will not appear as a subset option at Amion. So, to delete a subset, have it display all or no shifts.